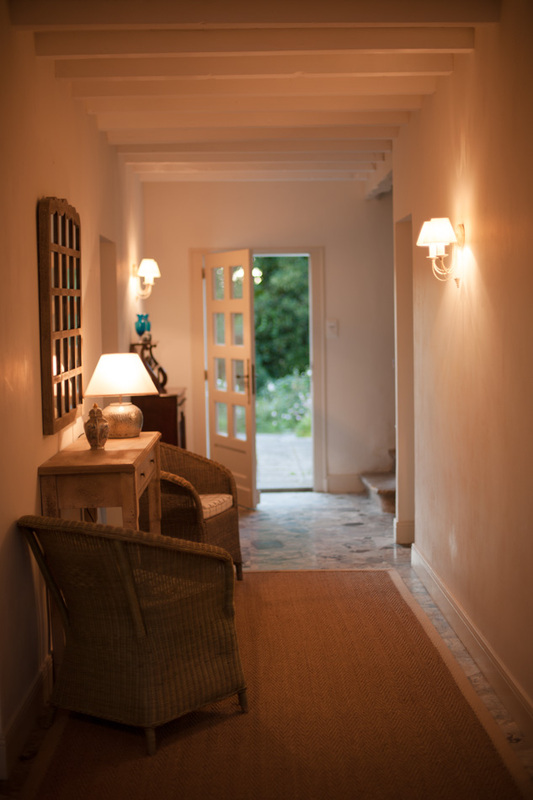 Maison Valentine is a large, beautifully proportioned, maison de maître with 3 bedrooms, all with en suite bathrooms sleeping between 6 – 10 people. The house comprises 2 floors linked by a wooden spiral staircase. 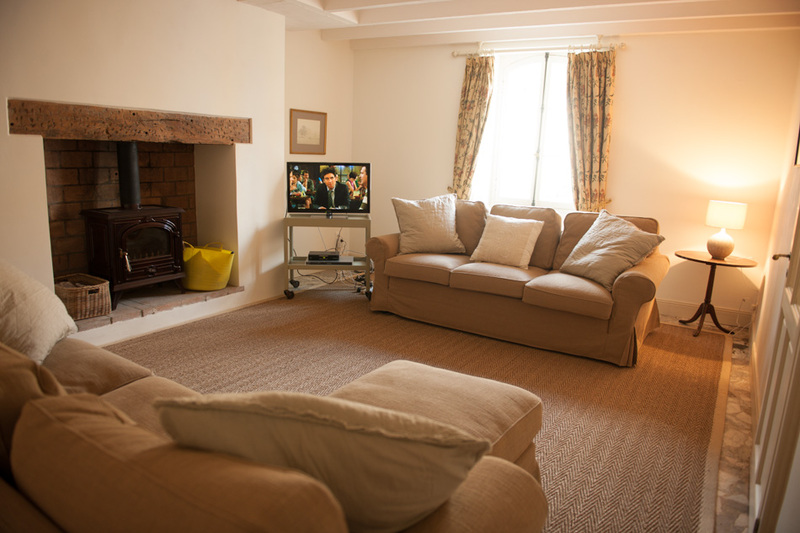 It comfortably sleeps 8 in the 3 bedrooms and an extra 2 on the luxurious sofabed in the beamed living room. The large marble hallway has mirror and table with two chairs, and a desk under the stairway alcove. 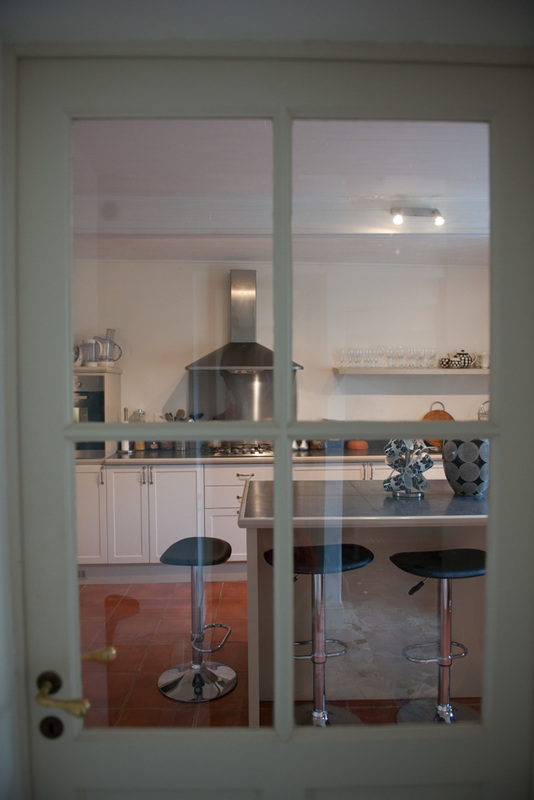 The ground floor comprises a large, but cosy, living room, a very spacious dining room open planned to the kitchen, which overlooks the garden. The walled garden and terrace are lushly planted, with a heated Romanesque swimming pool, 9m x 4m. 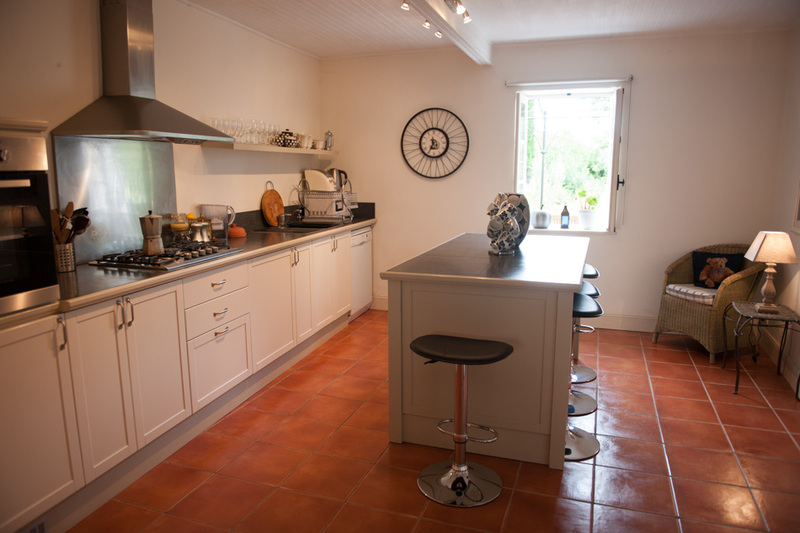 The kitchen is furnished with modern appliances including a 5-burner gas hob, fan-assisted oven, large fridge/freezer, dishwasher, microwave, food processor, toaster and more besides. 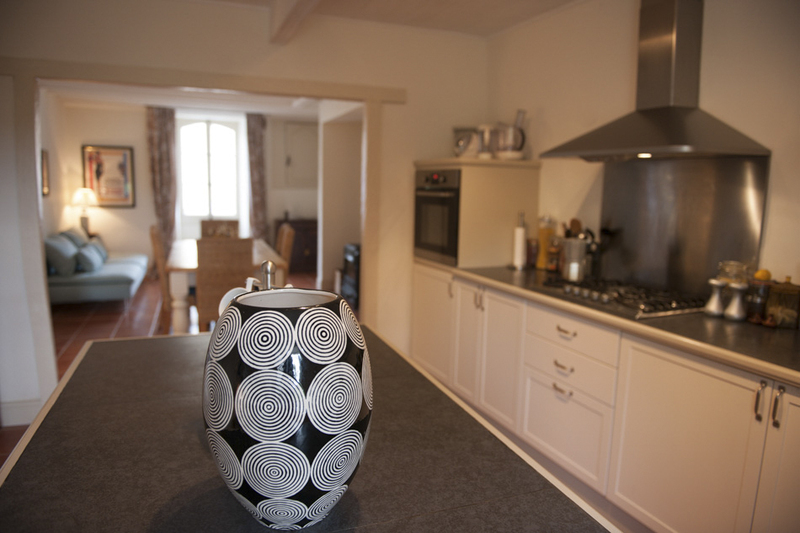 There are woodburning stoves in the dining room and living room. A pantry with an extra fridge, a utility room with washing and drying machines, and an extra toilet, comprise the ground floor accommodation. 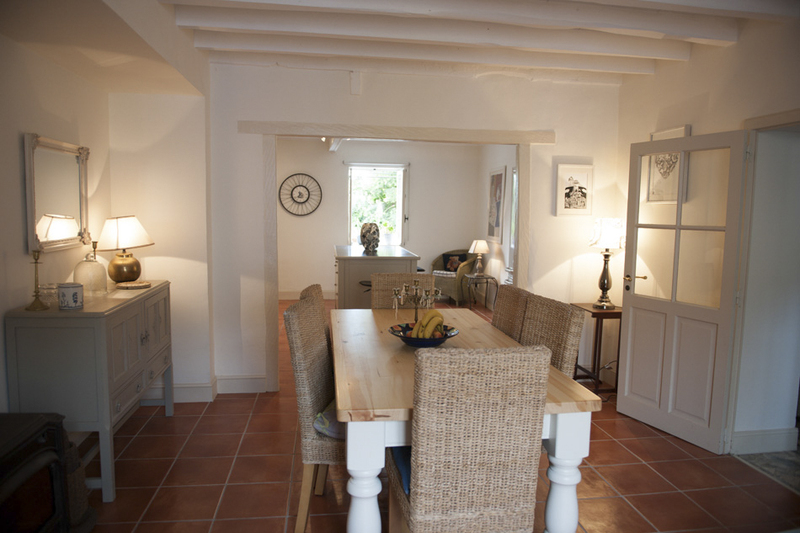 The upper floor consists of 3 bedrooms, all with en suite bathrooms. Two bedrooms have walk-in shower rooms and the other bedroom, a claw foot bath and shower. 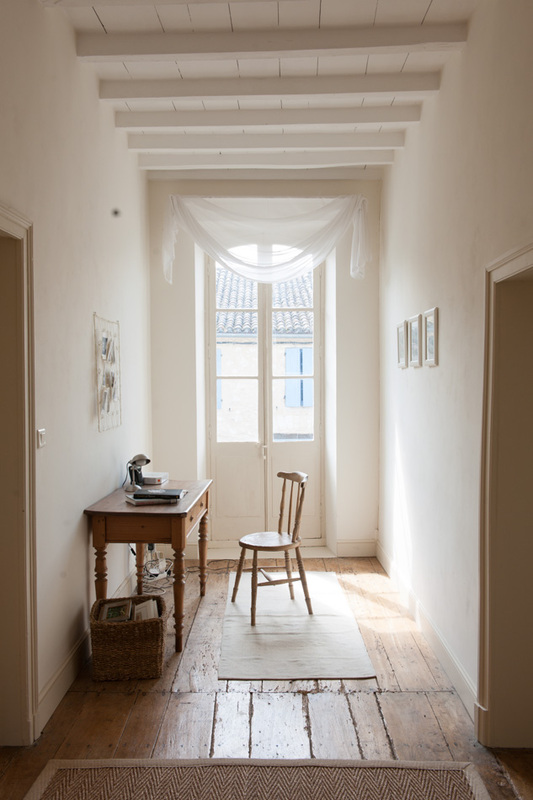 The large upper hallway houses a desk and chair. The farmhouse table seats 6 comfortably, plus a further 4 around the central island of the kitchen and a supplementary tables and 4 chairs are available from the roomy pantry and storage area which runs the length of one side of the house. Fridge-freezer, 5 ring gas-fired hob, food processor, toaster, fan-assisted oven, dishwasher, cooking utensils, extensive crockery and glassware. The beamed living room feels airy in the daytime and cosy in the evening. In the winter it is warmed by one of the two wood burning stoves. 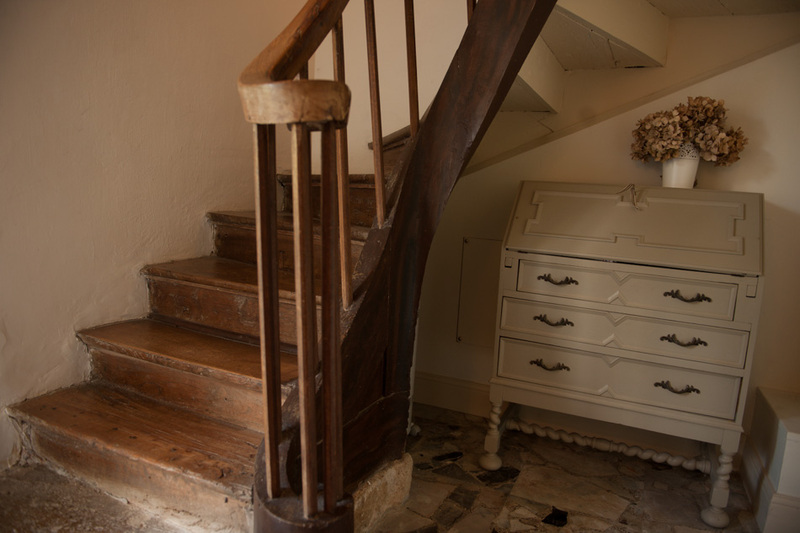 Up the winding wooden staircase the two main bedrooms are very large and airy with high ceilings, although the more cottage feel of the back bedroom, which overlooks the garden, is a particular favourite with our children and many of our house guests. All bedrooms are fitted with en suite bathrooms. The Laundry & Toilet - a separate laundry room is set off the hallway at the back of the house. The laundry room, overlooking the garden, houses washing and drying machines and a handbasin. Swimming and spare towels can be found on the shelves here. A separate toilet is adjacent . The Pantry - the vast pantry is accessed via the dining room and has a large amount of shelf space plus an extra fridge. The Garage - the garage houses the garden furniture when not in use. Linen - choose the color used on the site title within the info page content area. Bicycles - We have two bicycles available for hire. Cleaning - you will find the house clean when you arrive. We expect you to leave the house in the same state when you leave. For an additional fee, we can arrange for cleaning. Parking - There is parking space directly in front of the house.